It’s the perfect time of year for a nice big bowl of soup. As the weather cools, my body starts to crave foods like that, so I give it what it wants! Soup is the ultimate savory comfort food for fall. Remember back to when you were a kid and your parents gave you a bowl of chicken noodle soup when we were sick? How about a dippable bowl of creamy tomato soup for your crunchy, buttery grilled cheese sandwich? Foods like these are comfort foods because they give emotional comfort to us when we eat them. 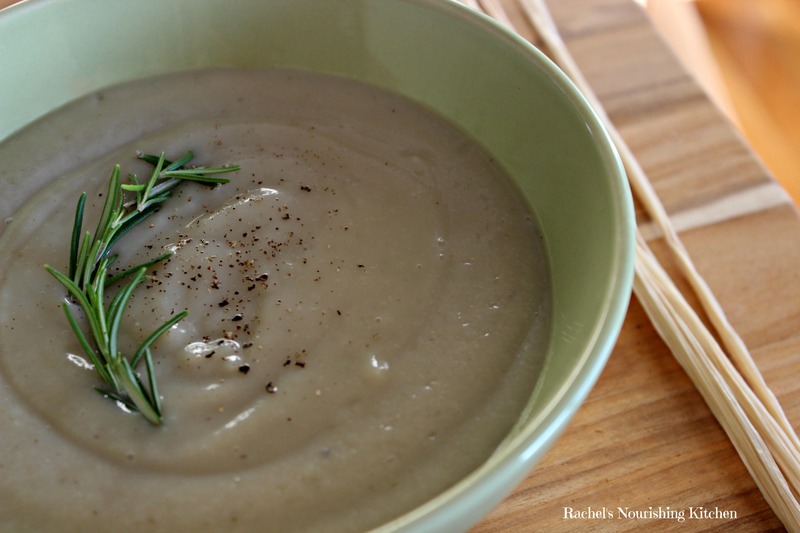 Today I’m going to share recipes for two soups we recently tried from culinary translator and food as medicine guru, Rebecca Katz. I recently wrote a post about her cancer-fighting, brain-boosting, longevity-promoting cookbooks and her famous Magic Mineral Broth. If you missed it, check out that post here. You’ll use the mineral broth in both of these soups, which is why we made it in the first place! 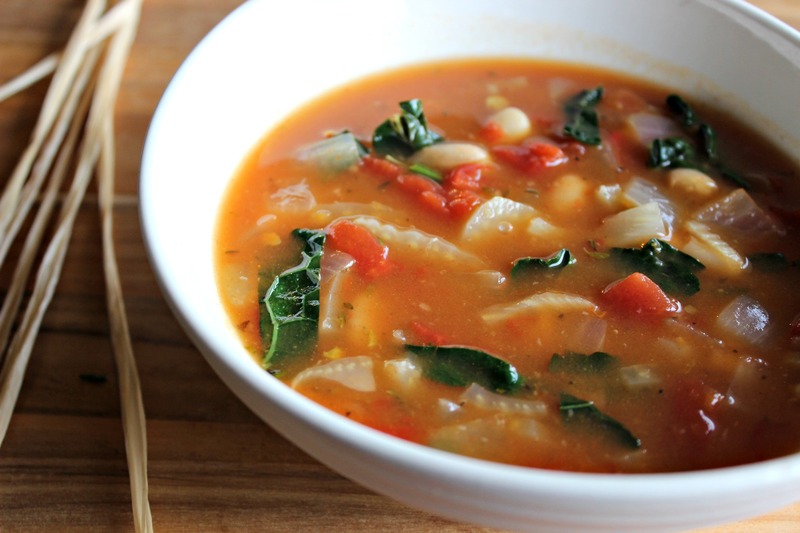 I love the rich flavors of today’s soups, especially the Moroccan Chickpea and Vegetable Soup. When I lived in Spain in college, I was in the southern town of Granada, so I was just a couple hours north of Morocco. It was at that time that I first started to get comfortable trying new foods and experimenting with what I put on my plate. It also served as my introduction to Moroccan food. I can’t say that I was always excited to be more adventurous with food, but the payoff has been incredible! I now enjoy so many different types of food and ethnic cuisines I would have not even thought to try before that experience. The second soup uses my favorite fall squash – butternut – and incorporates healing spices like turmeric, ginger, and cumin along with a rich, creamy can of coconut milk. I found it to be a little thinner than I prefer, but you can always use less broth to start and then add more to thin it out. If you’re looking for some immune-boosting, heart-warming, soul food for this weekend or upcoming week, try one of these two soups! They are delicious and packed with flavor. Get the recipe for the Moroccan Chickpea and Vegetable Soup. And the recipe for the Curried Butternut Squash Soup. The cold weather we’ve been having lately has put me in a serious soup/stew/chili-making mood. And since my husband gave me this cast iron Dutch oven for Christmas, making these one pot meals has been easier than ever! Atwater’s, Great Sage, and Zia’s Cafe are my favorite places in Baltimore to buy soups for lunch or dinner when I’m out on the road, but I also like making them myself. 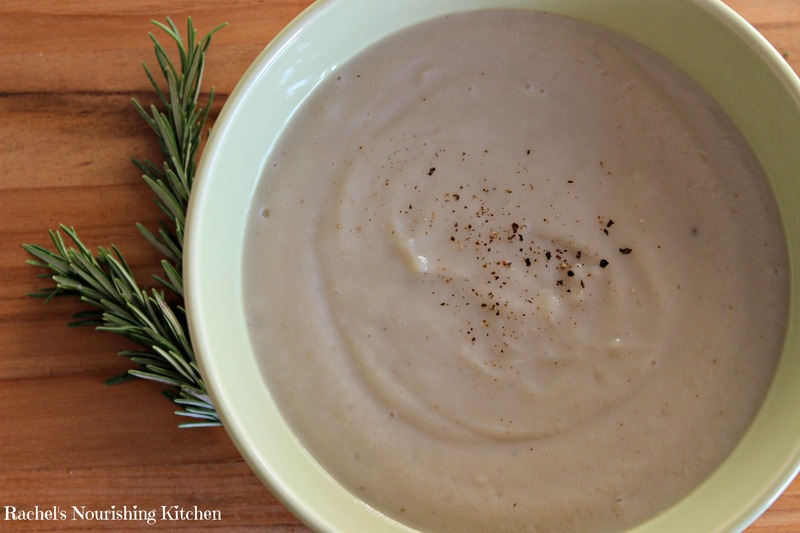 Today’s recipe is for a hearty, colorful White Bean & Fennel Soup that is bursting with flavor. 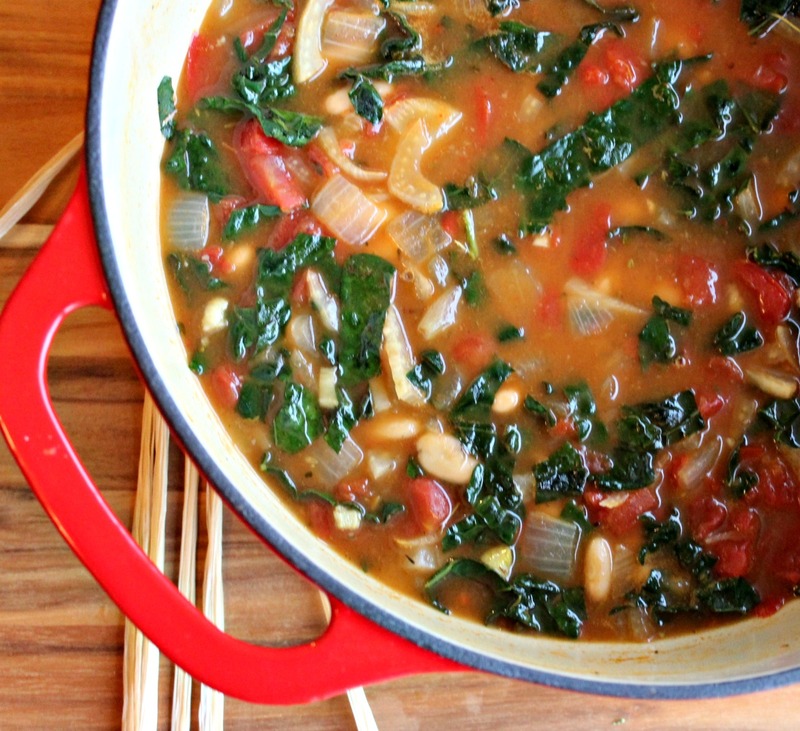 It’s full of powerful, anti-inflammatory veggies like onions, garlic, fennel, and kale, along with fiber-filled beans and a tasty blend of Italian herbs. In a large Dutch oven or 8-quart pot, saute onion and fennel in coconut oil until tender, about 5-7 minutes. Add garlic, herb blend, pepper, red pepper flakes, and 1/4 teaspoon salt and stir constantly for 30 seconds. Add tomatoes with juices, broth and bay leaf and bring to a boil. Reduce heat, cover and simmer for 30 minutes. Discard bay leaf. Add remaining 1/2 teaspoon sea salt and kale, and continue simmering until kale is tender, about 5 minutes. Stir in beans, and simmer until heated through, about 2 minutes. Taste and add more salt and/or pepper if necessary. Finish with lemon juice. Serve & enjoy! In case you missed it, make sure you check out this post for the easiest and cheapest way to make your own vegetable broth from scratch. But I’ve never been a fan of broccoli cheddar soup. I’m not sure if it’s the concept or the texture or the fact that I’ve always thought broccoli should stay whole and recognizable and not pulverized in a soup with cheese and cream. Since I cut out milk and cheese over two years ago, I’ve been on the hunt for recipes that deliver on the rich and creamy factor we think can only come from dairy products, and I wanted to challenge myself to try something new. 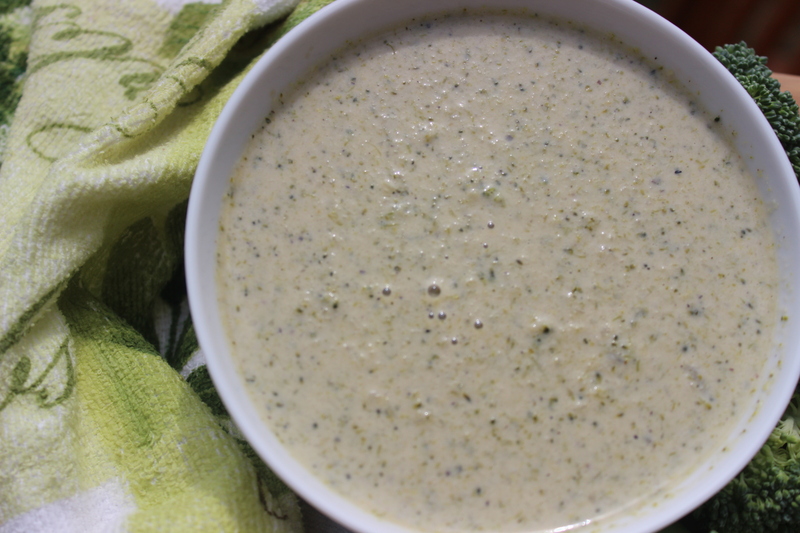 Back to the broccoli soup. Because I’m always encouraging people to “try new foods” and give foods they’ve previously sworn off a second chance, I thought I should practice what I preach. 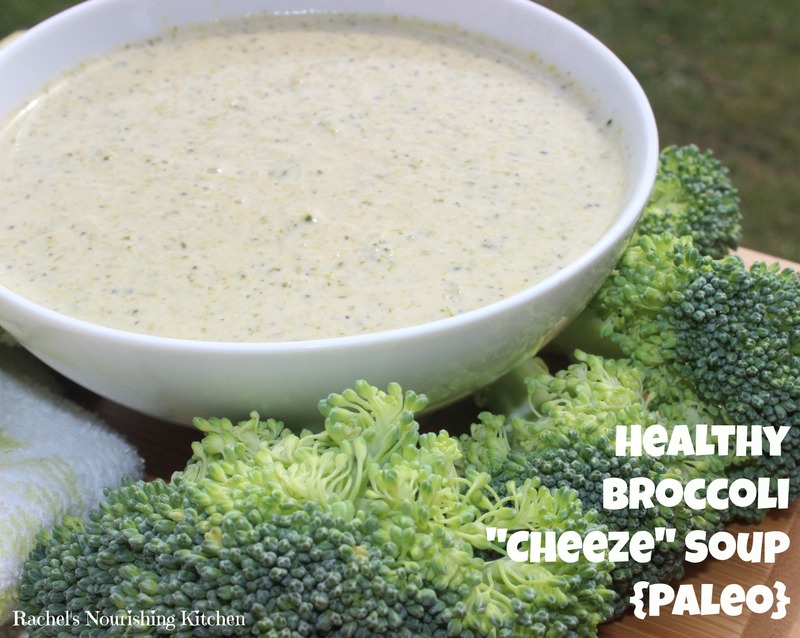 So, I tried a recipe for a “healthified” broccoli cheeze soup. 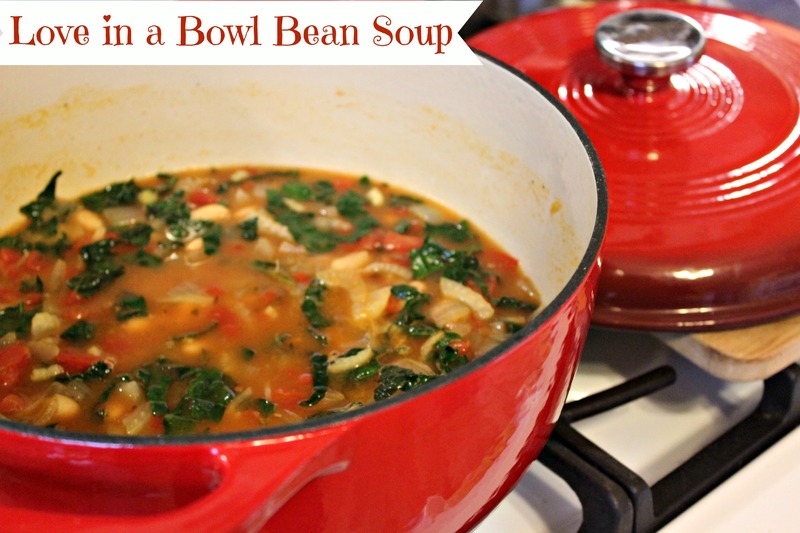 The skeptic in Bill (and me) was not too confident about how this soup would turn out, so I totally get any reservations you might have about making this recipe…but that’s why we tried it! Bill and were BOTH thrilled with how it turned out – rich, creamy and flavorful. I had to stop myself from drinking it straight out of the mason jars, and we enjoyed it as part of our lunch for several days. 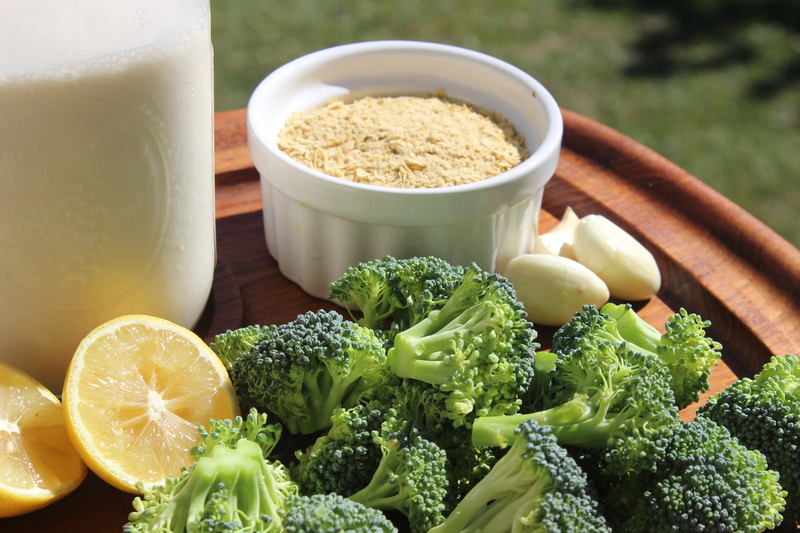 Not only that, but any excuse to eat more broccoli is a good one – broccoli is known as the DNA whisperer! Don’t be deterred by the ingredient list or let that be an excuse to not try recipes. I used to do that all the time but found that having key pantry staples on hand made it SUPER easy to make recipes like this. Most of the time half of the ingredients are things you have in your pantry anyway (i.e., herbs, spices, lemons, onions, and garlic). 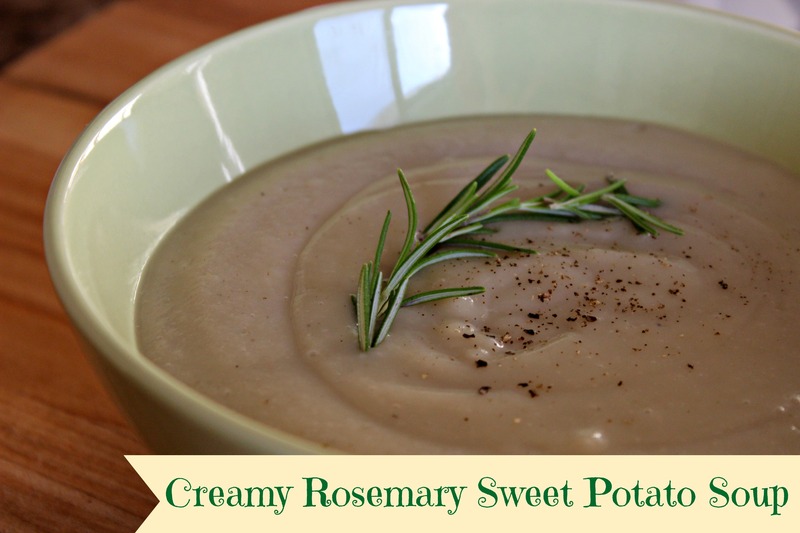 Click here for the full recipe details from Running On Real Food! Since I was a little girl, my family has spent our summer vacation in the Adirondack Mountains of Upstate New York. My mom’s family is from the area, and she spent summers as a kid in Keene at her parents’ farmhouse, working at The Land of Make Believe as a teenager. My dad fell in love with her and the area over 40 years ago when they started dating. My parents love Upstate New York so much that, after decades of renting other people’s cabins, they bought their own place in Wilmington, just outside the resort village of Lake Placid. It’s been in our family for over 15 years and will remain for years to come. Each summer, Bill and I return to our grounding place, to small towns where time stands still, and to the breathtaking beauty of the Adirondacks. We go to be near the mountains, lakes, streams, cleansing air, and for peacefulness that being in nature brings. If you’ve never been, I highly recommend it as a travel destination, especially if you like being outdoors. The days are typically mild, and the summer nights are often so chilly that you need to bundle up and wear a sweatshirt or jacket. Our favorite thing to do while we are up there is hike one of the hundreds of peaks in the region. If you’re looking for options, I suggest checking out this site, which sorts hikes by distance and difficulty. Bill and I try to climb one of the 46 High Peaks each year, but we also love to do shorter climbs, including Ampersand, Round Mountain, and Hurricane. With all of the lakes in the area, we also love to canoe, paddle board, or make friends with people who have boats 🙂 It’s also a great spot for fishing. My family of triathletes swims, bikes and runs throughout their time there. I love to go for a run around Mirror Lake or near my parents’ house and take in the mountain views. One of the Ironman triathlons (140.6 miles – 2.4 mile-swim, 112 mile-bike, 26.2 mile run) takes place in Lake Placid each July and draws in thousands of athletes and their friends and family. If you’ve never witnessed an Ironman race, I highly recommend attending one. We volunteer each year at one of the bike aid stations and cheer in the runners at the finish line in the evening. It’s an incredible testament to the power of the human spirit and a feat of the body and mind. My dad has finished the Lake Placid Ironman six times; my sister, Jane, three times; and my husband, Bill, once. To learn more about the race, click here. When Bill and I are on vacation, one of the things we love to do is find delicious and nourishing places to eat. With my dairy-free, gluten-free limitation, I have to be selective about where to dine out, but I have become particularly skilled at discerning where to go. I don’t think that being away from home means that we have to sacrifice nourishing ourselves. My goal is to find places that serve delicious and nourishing food. It’s totally possible. Here is my list of seven spots to dine in Lake Placid, New York! This is my #1 spot because it’s a cafe and a grocery store. If you consider yourself to be a healthy foodie, then you have to know about this place. Originally located on Saranac Avenue on the way out of Lake Placid, Green Goddess Natural Foods has expanded and recently opened a second location on Main Street. At both locations, you can build your own smoothie, smoothie bowl, grain bowl, breakfast bowl, and salad. You can also get homemade, cold-pressed juices there, too. The markets have hundreds of gluten-free, dairy-free, paleo, and vegan options including products, soups, baked goods, grab-and-go deli sandwiches and dips, snacks, and even supplements. I’m a fan of the make-your-own-salad option, and if you get one, I highly recommend including the curried cashews and green goddess tahini dressing (seriously awesome). My husband is a fan of their sandwiches loaded with local ingredients. For a look at the Green Goddess and Scape Cafe menus, click here, and for updates to daily specials, follow them on Instagram. It’s easy to pass right by this little gem, but we were stoked to discover it a few years ago. The Good Bite Kitchen is an “inventive vegetarian” cafe with lots of plant-powered, gluten-free, dairy-free, vegan and paleo options. They change out the selection on their chalkboard menu on a daily basis and have everything from soups, salads, sandwiches, and smoothies to grain bowls, zucchini noodle bowls, and sweet treats. Seating is extremely limited, so depending on what time of day you’re there, you might want to get your order to go and sit by the water to eat your meal. A few of the my favorite meals that I’ve gotten there are the Mung Bean and Zoodle (zucchini noodle) bowl served with a vegan ranch dressing and topped with pumpkin seeds. I’ve also tried a zoodle bowl made with toasted cashews and chickpeas. They always have some combination of a veggie noodle and/or rice bowl loaded with lots of other veggies and something crunchy. Bill loves the GBK Tomato, which can be prepared as a sandwich or salad, and includes heirloom tomato, balsamic hummus, basil vinaigrette, pickled onions, feta and greens. Follow them on Instagram to keep track of daily specials. Note: As of this blog post publication, they are open Tuesdays through Saturdays from 11a-5p. Most of the time, Lake Placid seems like the town that time forgot. Very little changes from year to year, so it’s obvious when a new store or restaurant comes to town. As we were searching on yelp (my go to app for finding dining options), we stumbled upon this farm to table spot. After checking out the menu and seeing icons designating gluten-free and vegan options, I knew we’d found a winner! We went with my parents and everyone loved their meal and the appetizers. There aren’t many high quality dinner spots in Lake Placid, but this is definitely one of them. We started with an appetizer of onion fritters breaded in chickpea and cauliflower flour and served with an addictive tamarind dipping sauce. Everyone at the table raved about them and the goat cheese stuffed piquillo peppers drizzled with honey and chopped hazelnuts, topped with microgreens. I couldn’t eat the cheese but did manage to snag a bite of a pepper with some honey and hazeluts, and it was delicious. I had eyed up their curried chickpea dish served with cauliflower, red peppers, carrots, plump raisins, and chickpeas atop a bed of turmeric rice. It had a bit of a kick to it, but the flavors were on point. My mom had the special, which included perfectly seared sea scallops on a bed of black quinoa and sautéed spinach served with a beet yogurt sauce. If you’re looking for a spot for nice night out in Lake Placid or for a place to go for a celebration, I highly recommend Salt of the Earth Bistro. Another newer addition to the Lake Placid dining scene, Big Slide Brewery received about 4.5 out of 5 stars on yelp, which caught my attention. It’s a great spot for a group and you could easily spend an afternoon there. Their farm-to-table menu that sources ingredients locally had plenty of options for gluten-free, dairy-free and anyone without restrictions, too. Bill and I had a great meal there. I’m not much of a drinker, but their mule served with cranberry maple ginger beer was calling my name, so I got that to start, and it was definitely the right call. To start, I loved the humor they put into their menu titles. With names like The 40 Year Old Vegan (a vegan pizza), The Yawner (a traditional house salad), What a Fun-gi (mushroom pizza), and Trout It Out (my second choice for an entree! ), just reading the menu put me in a good mood. I have an appreciation for puns. For dinner, I opted for the Thai Cobb Salad (another funny play on words, right? ), and Bill had the pork chop entree. My salad was made with julienned carrot, cabbage and jicama; spicy micro greens; tomato; avocado; applewood smoked bacon; peanuts; and a 7-minute egg and was topped with a lime and smoked chili vinaigrette. I wasn’t starving, but if I wanted to amp it up a bit more, I could have added grille chicken. It hit the spot, and I would highly recommend it! Bill’s entree was a bone-in pork loin chop served with caramelized onion, blueberry and bacon salsa, roasted carrot and spinach lentils and finished with an apple bourbon jus. I don’t think anything else needs to be said other than it was awesome. Like, ridiculously awesome and packed with flavor. We can’t wait to go back to Big Slide Brewery for another mouthwatering meal! This place is easy to miss if you’re not aware of it because it is off the main drag and in a shopping center with a Price Chopper grocery store. We first went to Caffe Rustica (yup, it’s spelled differently) a few years ago with family friends who live in the area, and it has become one of our annual dinner destinations since. I started with a house salad made of mixed greens, poached pears, charred onions, walnuts, and avocado (they let me sub that for cheese) topped with a maple balsamic dressing. What a perfect way to start a meal. I had the fish special, which was a meaty white fish served with a homemade basil marinara sauce and served on top of sautéed broccolini. It was a light meal, great for the hot summer day we were there. I’ve had the salmon before, too, and it is often served with root vegetables and quinoa, so I’d recommend that, too. After dinner, if you’re looking for something to do, play a round of mini golf at Pirate’s Cove. It’s a fun course. The last time we were there, Bill got four holes in one! If you want to hit up the beach at Mirror Lake and then walk to lunch or dinner or to grab drinks with friends and family, then the Lake Placid Pub & Brewery is your spot. We went there with a group of almost 20 people last summer after my sister, Jane, did her third Ironman triathlon, so this is a great spot for groups. Once again, this is another spot that accommodates gluten-free, plant-based diners. All items are prepared in the same kitchen as gluten-containing foods, but they label their menu with a GF symbol to indicate which items are made with gluten-free ingredients. I’ve gotten the hummus starter (lots of crunchy veggies for dipping!) and superfood salad (kale, brussels sprouts, broccoli, and mixed greens galore) with salmon on top. My mom loved the salmon bowl with maple and brown sugar glazed salmon served with cilantro lime rice, radishes, cucumbers, scallions and toasted sesame seeds. If you’re gluten-free, ask for a gluten-free sauce / glaze option, as it appears that something in that dish is not gluten-free. If you’re in the mood for a pizza, burger or sandwich, good news! LP Pub & Brewery offers gluten-free pizza crust and burger buns. This is a popular neighborhood restaurant and bar and tends to get busy around dinner time, especially on weekends. Lisa G’s has something for everyone a menu that labels menu items as “gluten-free” or “vegan,” which is super helpful for someone like me. Here are a few of the gluten-free options: Lentil Salad with mixed greens, green lentils, carrots, scallions, roasted red peppers, and green olives tossed in a thyme vinaigrette and topped with walnuts and feta. I’d hold the feta and ask for avocado instead, which most restaurants are willing to accommodate. Lisa G’s has a few side dish options that I’d recommend mixing and matching with a protein to build a nourishing, fueling meal, including roasted veggies, sautéed kale, rice pilaf and rice and beans. For entrees, you could try the Sweet Potato Chili and Salmon dishes (ask for a different sauce on the salmon if dairy-free), as both are gluten-free (hold the corn bread for the chili). If you don’t have any dietary restrictions, you have a broader menu to choose from, including salads, apps, wings, sandwiches, tacos, burritos, and land and see entrees. The Cottage: 77 Mirror Lake Drive, Lake Placid, NY. The view from the outdoor patio of The Cottage is beautiful, sitting right on Mirror Lake. I’m a fan of their House Salad served with artisanal greens, heirloom cherry tomatoes, roasted butternut squash, sweet and spicy almonds and served with their maple balsamic dressing. Base Camp Cafe: 2488 Main Street, Lake Placid, NY. Breakfast the other day was a toss up between this place and The Breakfast Club. We didn’t make the right choice (the food and vibe were not so awesome at the Breakfast Club) and wish we’d gone to Base Camp instead. They serve old fashioned oatmeal and have build-your-own omelette or scramble options served up with home fries. They also have all day breakfast bagels that can be made with gluten-free bread instead. Base Camp also serves hot and cold sandwiches and variety of drink options, including a wide selection of specialty lattes. Top of the Park: 2407 Main Street, Second Floor, Lake Placid, NY. Tapas / small plates restaurant with creative but limited menu and a few vegan and gluten-free options. We haven’t been yet, but this place comes highly recommended by the staff at Green Goddess Natural Foods for the quality of their food and willingness to accommodate different dining preferences. Liquids & Solids: 6115 Sentinel Road, Lake Placid, NY. If you consider yourself to be a bit of an adventurous eater, check out this spot. Their menu is heavy on animal products and not an ideal spot for plant-based diners. They’re also known for their extensive and ecclectic drink menu.